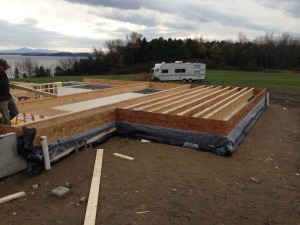 The weather continues to hold out as we move forward with construction. Before building the floor system, which will be made up of various sized TJIs to span long distances, we need to complete the air sealing details at the sill. 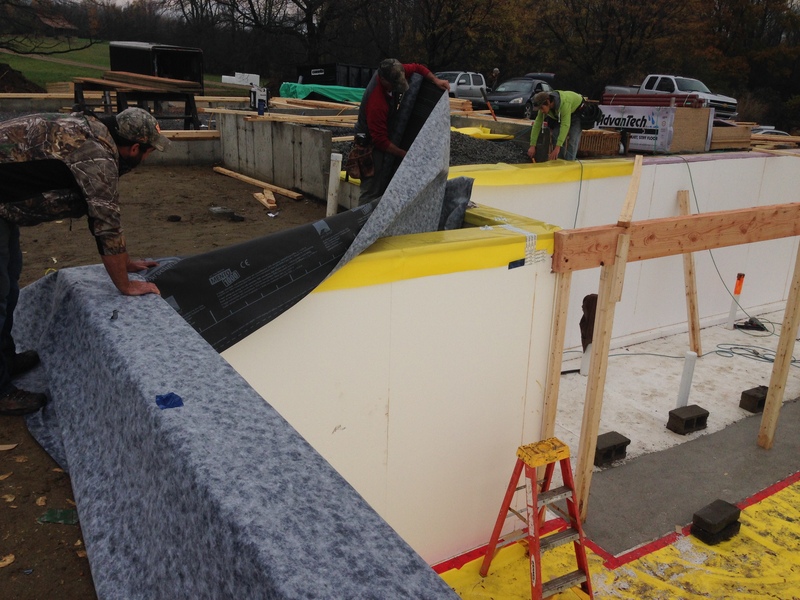 We used a an air tight vapor permeable membrane called Mento. This was over lapped inside, to be taped to the Stego and overlapped on the outside around the box sill. The air barrier around the box sill at this point is redundant as our main air barrier for the structure above grade will be taped CDX plywood. 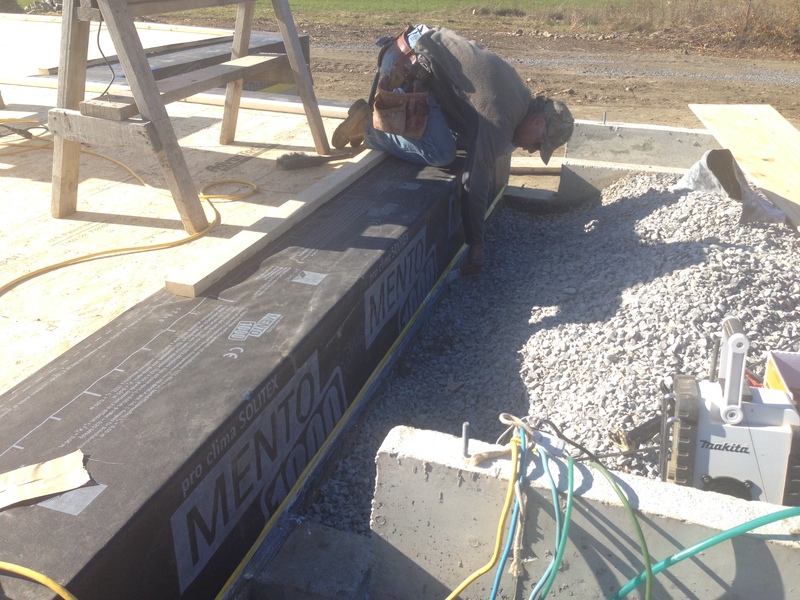 The mento will then be taped on the interior of our double stud wall. 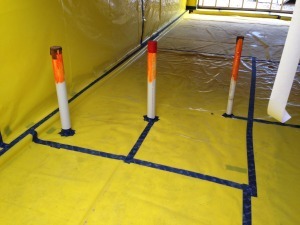 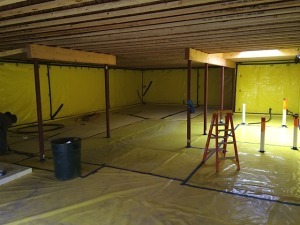 After the first floor deck was installed, we continued our air barrier in the basement. 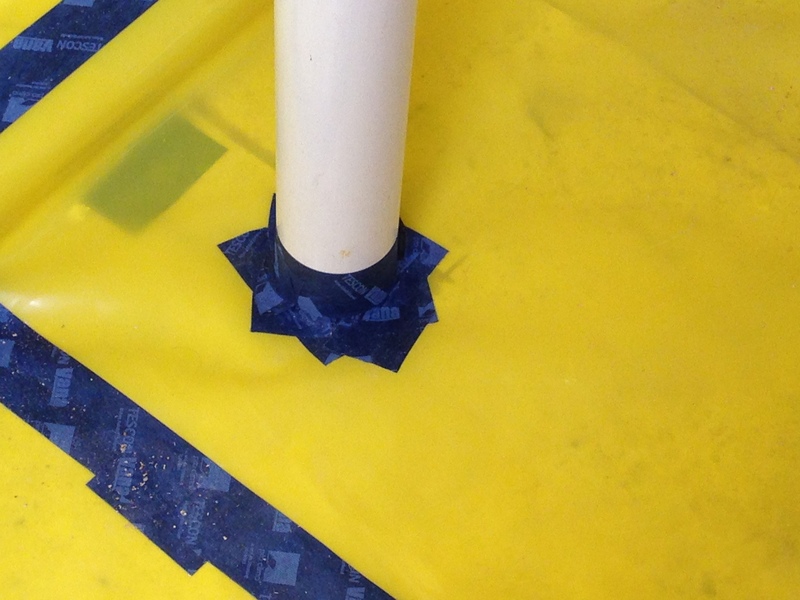 This meant laying Stego on all uncovered areas and the walls and taping all the seams with Tescon tape. A careful taping detail was used around all plumbing penetrations in the foam to prevent any air leakage. 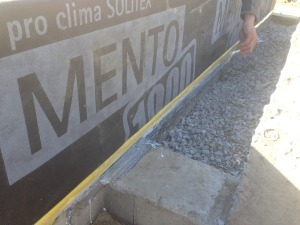 We used a primer to help the tape stick to the concrete when adhering the Stego and Mento to the concrete wall.